“I bought the restaurant July 1, 1979. I moved down here after I bought the restaurant in 1980 and rented. Physically, (my address) is 315 East Lane Street, but most people tell you my address is the restaurant. I’m here almost all the time. There are people who eat here who have been with me since the get-go… It’s nice. There are couples who had their first date in here, and then I did their weddings and now I’m doing their high schooler’s graduation… People feel comfortable here. To me, it’s not about the all-mighty dollar and it never has been. To me, truly, the only purpose in life is to love one another and take care of each other. “When Hurricane Fran came in on 9-6-96, the neighborhood suffered a lot. A lot of us lost electricity. Some of us got it back within 12 hours, some not for 8 or 10 days. People would come down and we would dole out one bag of ice per house per day every day. People would come down just to sit together and get out of the heat. 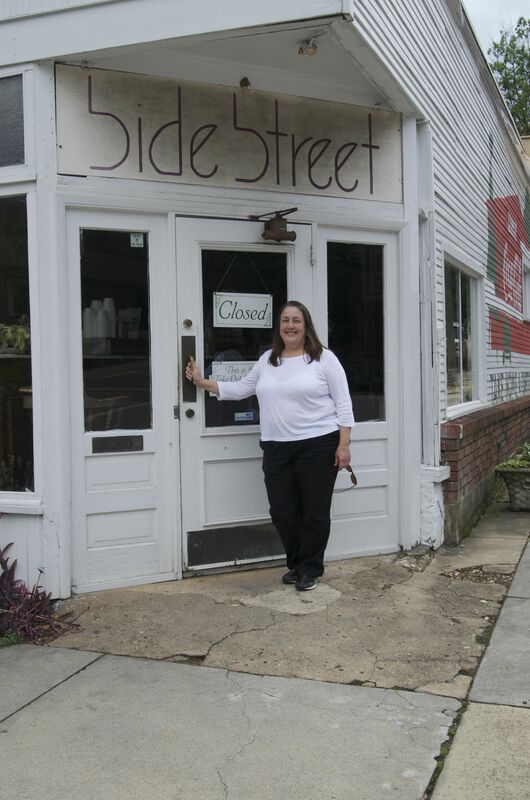 Mary Lu Wooten bought Side Street Restaurant in 1979 and several years later moved into 315 East Lane Street.